Grammy winner St. James unleashes another wave of stunning worship songs---for the glory of Christ! Features "You Never Let Go," "Shine Your Glory Down," "You Still Amaze Me," "In a Moment," "The Kindness of Our God," "When the Stars Burn Down (Blessing and Honor)," "Almighty God," "You Hold Me Now," "You Make Everything Beautiful," and the title track. Mandisa continues to be a voice of encouragement and truth to women facing life's challenges. She returns with her new album What If We Were Real. Featuring the new single "Stronger", the album's theme centers around the masks that each of us wear every day. 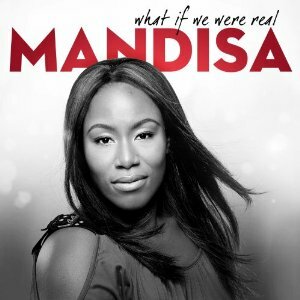 Mandisa shares that her new record is "all about taking the masks off, and really letting the world see that we as Christians, It doesn't mean we don't go through difficult times, doesn't mean that things are always great in our lives. It simply means we have a relationship with the Savior who is able to bring us joy and peace in the middle of our difficult times." In today's overstressed, overwhelmed, and overtired culture, a "normal" lifestyle isn't what it used to be! Groeschel shares a Christ-centered philosophy on everything from money to scheduling to purity that will help you break out of your regular routine and live according to the abnormal rhythms of God's grace and the truth of his Word. - every believer-to gain insights to help orphans in numerous ways. Discover how to adopt, assist orphans in transition, engage in foster care, partner with faith-based fostering agencies, and become orphan hosts. Along with their families' adoption stories, Merida and Morton give steps for action and features on churches doing orphan ministry, faith-based children's homes, orphanhosting groups, and other resources. Most teenagers dream about getting their driver's license, having a first date, or graduating from high school. When Abby Sunderland was 13 she knew she wanted to sail solo around the world. Raised in an adventurous, homeschooling family on the California coast, Abby's older brother Zac had already circumnavigated the globe when he was 16. In Unsinkable, Abby and Lynn Vincent (Same Kind of Different As Me, Heaven is for Real), share how Abby's dream grew and how she became the youngest person in the world to attempt this daring journey. Over the years, Lucado has received thousands of questions in letters and e-mails---and even on coffee shop napkins! In this collection arranged in a Q&A format, he pens thoughtful personal responses to more than 150 queries on parenting quandaries, financial challenges, difficult relationships, the role of prayer, the reason for hope, and more.